Bay Area Rapid Transit trains are experiencing residual delays of up to 30 minutes this afternoon after a train was cleared from the Transbay Tube after it apparently struck something on a track, according to BART spokesman Jim Allison. 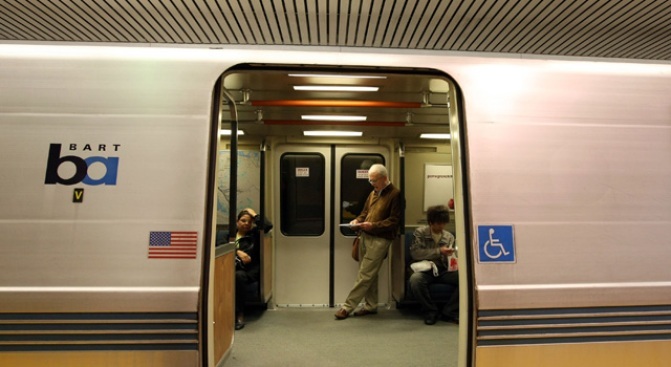 Traffic through the Transbay Tube came to a halt Tuesday morning after a BART train got stuck, causing major delays on both sides of the route. The nine-car train was heading from the Oakland side to San Francisco when two sections somehow became separated at about 6:20 a.m. The front section was able to move forward but the remainder of the section stalled inside the tube, just short of the Embarcadero station. BART stopped service through the tube for but resumed service about an hour later. Trains heading from San Francisco to Oakland were not affected, BART spokesman Linton Johnson said. Johnson said the service was delayed by about a half an hour for much of the rest of the morning. The tracks were inspected and found to be safe. The train sections will be inspected to help determine what led to the what led to the traffic-stopping malfunction.